DAAD Alumni & Friends was founded in 1981 and is thus a pioneer for alumni work in Germany. At that time, digital communication hardly played a role. Nowadays, networks are formed online. Our Association is also undergoing change, but the original idea remains unchanged: personal exchange and shared experiences promote international understanding. Dr. Hubertus Scheibe (Secretary General of the DAAD from 1955 to 1979) had the idea of founding the Association. Together with leading figures from science, industry and diplomacy, he launched the “Vereinigung der Freunde und Förderer des DAAD e.V.” (Association of Friends and Sponsors of the DAAD) on 24 October 1981. This was supported by the DAAD and the Stifterverband für die Deutsche Wissenschaft (Donors’ Association for the Promotion of Humanities and Sciences in Germany). There were several objectives: stronger contact between DAAD scholarship holders, academics and instructors; stronger ties to the DAAD; support for guests from abroad. To start with, under Dr.-Ing. Hermann Flessner and strongly pushed by Dr. Scheibe, the focus was on expansion abroad. Groups were founded by scholarship holders who returned home: for example, in Greece, Japan, Venezuela and Finland, Egypt and Brazil, Italy, Iceland and Paraguay. Today, these groups no longer belong to DAAD Alumni & Friends but are largely independent Alumni Associations. There are now more than 160 Associations in more than 70 countries. In times when it’s possible to explore the host town on Google maps and start making friends on Facebook, making personal contact plays an important role for genuinely understanding other cultures. Since the end of the 1980s, DAAD Alumni & Friends has focused on forming networks in Germany. Regional groups were founded throughout Germany; very soon they were working together with international offices at the universities. For a long time, they served to provide regular informal gatherings for the exchange of information and discussion. It was only with the spread of digital communication that the Association’s varied programme became established, offering regular events, city trips and stays with host families. The link between the Association and the DAAD is not only intensified by the right to hospitality in Bonn. After the death of Dr. Scheibe in 1994, management was taken over by a DAAD employee. This was at the suggestion of the then Secretary General Dr. Christian Bode, who is now the Chairperson of the Association. 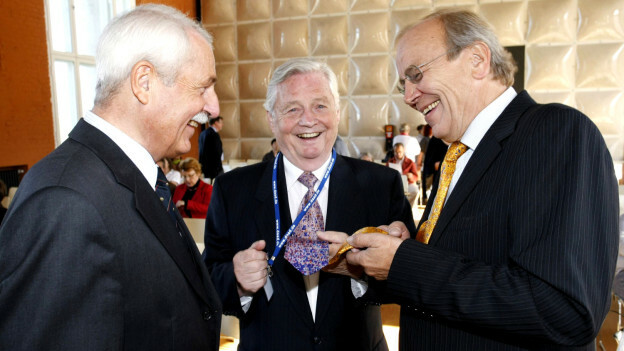 While his predecessor, Dr. Hans-Georg Schultz-Gerstein, was in office, the Association was acclaimed as a “Landmark in the Land of Ideas in 2011”. Thus, the concept has proved successful. In future, it will be a matter of expanding the programme and the Association. DAAD Alumni & Friends is constantly undergoing change, and there is much we wish to achieve.